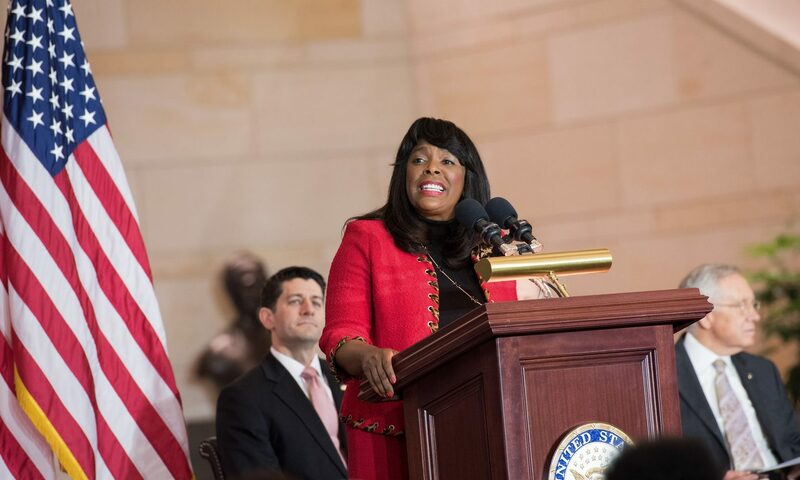 Congresswoman Terri Sewell, D-Selma, was appointed to Chair the House Subcommittee on Defense Intelligence and Warfighter Support. The Chairman of the House Intelligence Committee, U.S. Rep. Adam Schiff, D-California, announced the subcommittee assignments for the 116th Congress. Sewell will serve as the chairwoman of the Subcommittee on Defense Intelligence and Warfighter Support. In addition, Sewell will serve on the Subcommittee on Intelligence Modernization and Readiness. Alabama has a robust national security presence in Huntsville, Anniston, Montgomery and the Wiregrass. The state is home to federally-recognized military and civilian leaders in the cyber security field and to Boeing, EADS, Lockheed Martin, Northrop Grumman and other numerous defense contractors and aerospace research companies that support thousands of jobs for citizens throughout the state. The House Permanent Select Committee on Intelligence is composed of members selected by Speaker of the House Nancy Pelosi, D-California, and Republican Minority Leader Kevin McCarthy, California, and provides policy guidance and funding levels for the Intelligence Community. As one of the architects of U.S. intelligence strategy, the Committee is the House of Representatives’ key link to the Director of National Intelligence and the 17 agencies that constitute the Intelligence Community. The Subcommittee on Defense Intelligence and Warfighter Support oversees policies and programs focused on providing our nation’s warfighters accurate, timely and relevant intelligence in support of military operations. This subcommittee will foster greater awareness, collaboration and more effective deployment of resources across the Intelligence Committee related to the collection, processing, exploitation and dissemination of strategic and tactical intelligence. The Subcommittee on Intelligence Modernization and Readiness oversees policies and programs focused on ensuring that the intelligence enterprise is staffed, trained and equipped to advance its mission. This subcommittee will foster greater awareness, collaboration and more effective deployment of resources across the Intelligence Community on issues of human capital management, security clearance reform, IT modernization and an array of enterprise-wide, cross-cutting initiatives. The American electorate gave Democrat control of the House of Representatives. This means that Democrats select the Speaker of the House and all of the committee chairs and subcommittee chairs. Terri Sewell is serving her fifth term representing Alabama’s 7th Congressional district. She sits on the House Permanent Select Committee on Intelligence where she serves as the Chair of the Subcommittee on Defense Intelligence and Warfighter Support. She is the Vice Chair of the powerful House Ways and Means Committee and a Chief Deputy Whip for the Democratic House Caucus. In addition, Sewell serves on the prestigious Steering and Policy Committee of the Democratic Caucus, is a member of the Congressional Black Caucus, serves as Vice Chair of the Congressional Voting Rights Caucus and Vice Chair of Outreach for the New Democrat Coalition.